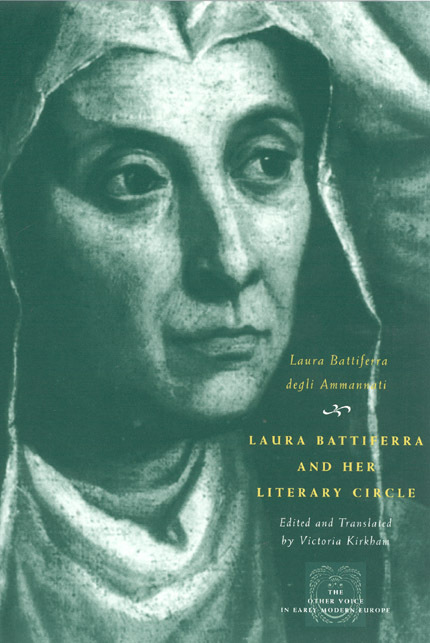 Internationally known during her lifetime, Laura Battiferra (1523-89) was a gifted and prolific poet in Renaissance Florence. The author of nearly 400 sonnets remarkable for their subtlety, intricate narrative structure, and learned allusions, Battiferra, who was married to the prominent sculptor and architect Bartolomeo Ammannati, traversed an elite literary and artistic network, circulating her verse in a complex and intellectually fecund exchange with some of the most illustrious figures in Italian history. In this bilingual anthology, Victoria Kirkham gathers Battiferra’s most essential writing, including newly discovered poems, which provide modern readers with a valuable social chronicle of sixteenth-century Italy and the courtly culture of the Counter-Reformation.